Women Remaking American Judaism not only breaks new scholarly ground, it also rewards readers with well-chosen illustrations and a useful timeline. A path-breaking assessment of feminism's impact on American Judaism by the field's leading practitioners. The rise of Jewish feminism, a branch of both second-wave feminism and the American counterculture, in the late 1960s had an extraordinary impact on the leadership, practice, and beliefs of American Jews. 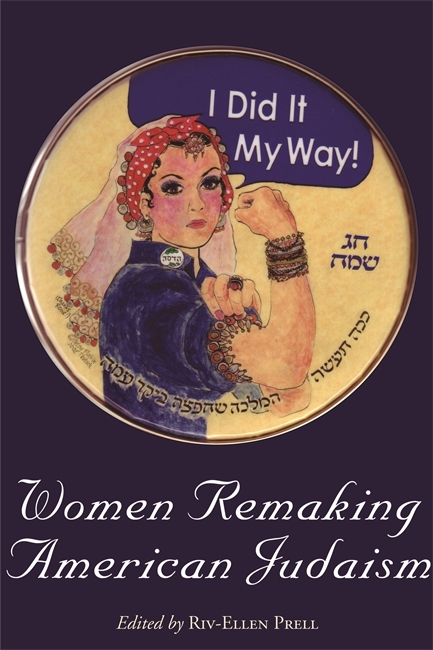 Women Remaking American Judaism is the first book to fully examine the changes in American Judaism as women fought to practice their religion fully and to ensure that its rituals, texts, and liturgies reflected their lives. In addition to identifying the changes that took place, this volume aims to understand the process of change in ritual, theology, and clergy across the denominations. The essays in Women Remaking American Judaism offer a paradoxical understanding of Jewish feminism as both radical, in the transformational sense, and accomodationist, in the sense that it was thoroughly compatible with liberal Judaism. Essays in the first section, Reenvisioning Judaism, investigate the feminist challenges to traditional understanding of Jewish law, texts, and theology. In Redefining Judaism, the second section, contributors recognize that the changes in American Judaism were ultimately put into place by each denomination, their law committees, seminaries, rabbinic courts, rabbis, and synagogues, and examine the distinct evolution of women’s issues in the Orthodox, Conservative, Reform, and Reconstructionist movements. Finally, in the third section, Re-Framing Judaism, essays address feminist innovations that, in some cases, took place outside of the synagogue. An introduction by Riv-Ellen Prell situates the essays in both American and modern Jewish history and offers an analysis of why Jewish feminism was revolutionary. Women Remaking American Judaism raises provocative questions about the changes to Judaism following the feminist movement, at every turn asking what change means in Judaism and other American religions and how the fight for equality between men and women parallels and differs from other changes in Judaism. Women Remaking American Judaism will be of interest to both scholars of Jewish history and women’s studies. Riv-Ellen Prell is professor and chair of American studies at the University of Minnesota. This fascinating collection reveals the remarkable innovations and far-reaching impact of Jewish feminism over the last thirty years. Written by leading scholars in the field, these essays shed light on the diverse expressions of the Jewish feminist movement as well as its decisive role in altering the landscape of American Judaism. An essential text for anyone interested in contemporary feminism or Jewish life in America." Women Remaking American Judaism not only breaks new scholarly ground, it also rewards readers with well-chosen illustrations and a useful timeline. A path-breaking assessment of feminism's impact on American Judaism by the field's leading practitioners." A superb collection of articles that demonstrate and analyze the profound impact of thirty years of Jewish feminism on the full range of American Judaism." Riv-Ellen Prell's introduction to the collection is masterful (of one many use that word in describing a book about changing gender roles and challenging hierarchy). She goes beyond the usual introductory summary and synthesis of the individual essays (which she does gracefully) and creates a larger context for the project by examining the relationship between Jewish feminism and the Enlightenment. This collection is an important contribution toward recovering the history, power, and impact of Jewish feminism, and will, I hope, spark continued conversation among scholars and lay people." This impressive volume, with its cover featuring Rosie the Riveter reimagined as Queen Esther on a tambourine, includes a detailed timeline of both Jewish feminist and U.S. feminist milestones." Women Remaking American Judaism is a welcome addition to the growing literature in Jewish women's studies. This volume contains much of great value. I commend the editor and authors of their most worthwhile contribution to the field of Jewish women's studies."